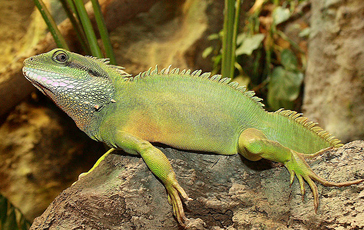 The Asian Water Dragon is an extraordinarily large lizard. They are very dinosaur-like in appearance, usually with dull grey skin with yellow speckling. They are known to reach an average length of 1.5 meters.